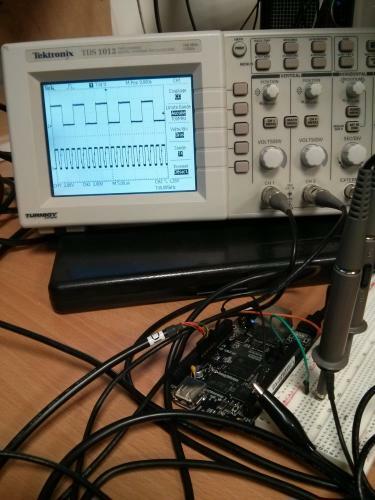 The BeagleBone black, using its AM335X CPU, provides a number of PWM output. Let's try to make them work. dmesg indicates that the kernel found 3 PWM devices. There doesn't seem to be much documentation on how to use these devices. Reading the kernel indicates that the configuration is done using sysctl. Jackpot! Let's try settings some values in these registers. That's it. Probing the pins confirms that the PWM work. ehrpwm0 is not muxed in the device tree file, so it's not accessible.